Baby Girl is 18 months this week, and I seriously have no idea where that time went. These little ones have a way of growing up so fast. Before she was born I spent weeks putting her nursery together and creating some really fun DIY projects. I still love her room but haven’t created anything new since she was born. This week I decided to add some nursery art above her crib. I chose a phase I adore and colors that would compliment her room. 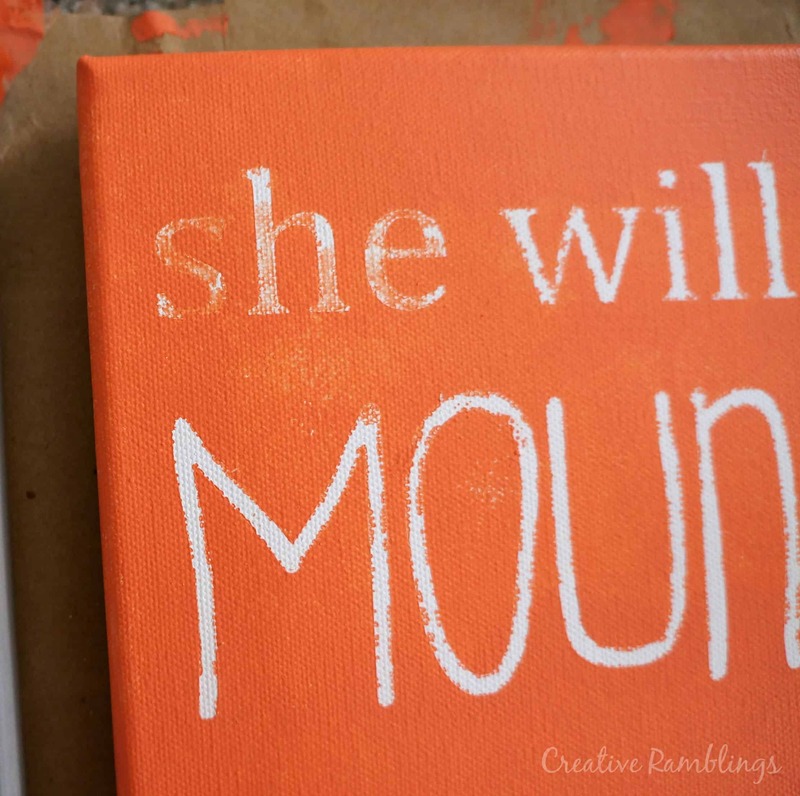 I am sharing my finished project with you today along with 19 other amazing home decor projects creating using a Silhouette. 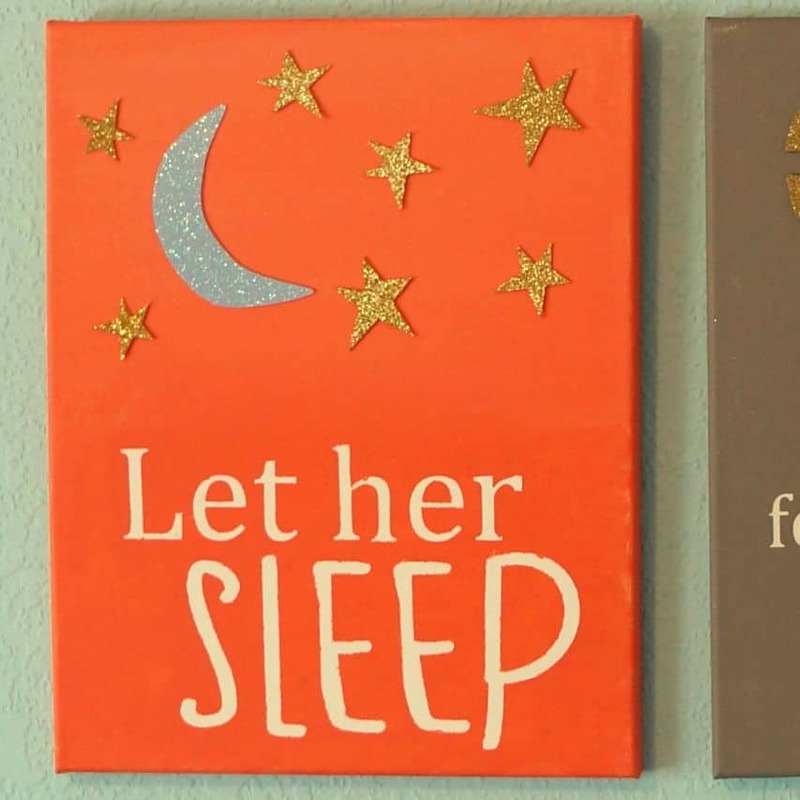 This phrase, Let her sleep for when she wakes she will move mountains, is one of my favorites. I have wanted to put it on one of my girls’ walls for a while. 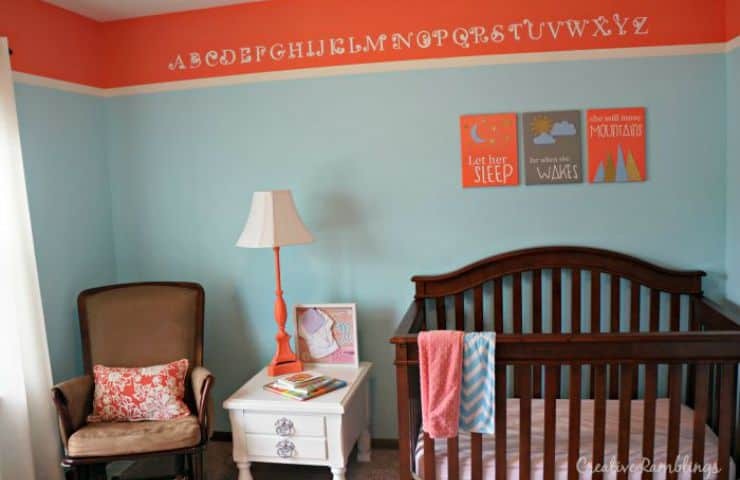 I chose to use painted canvas and stenciled letters paired with pretty glitter shapes for this nursery canvas wall art. Some of the following are affiliate links, you can view my full disclosure policy here. I applied my stencil then used a sponge brush and very little paint to paint the 3 canvases. I let the canvas dry for a few minutes then carefully pulled off the vinyl stencil leaving the white canvas behind. This is what happened when I moved a little too quick and used more paint than necessary. 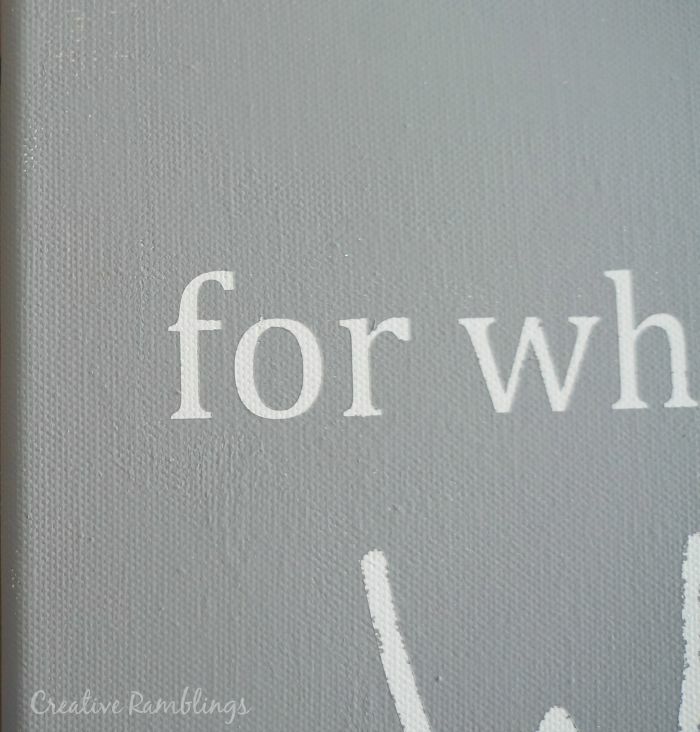 After my canvas dried I used a fine brush and white paint to smooth out the few letter that bled. 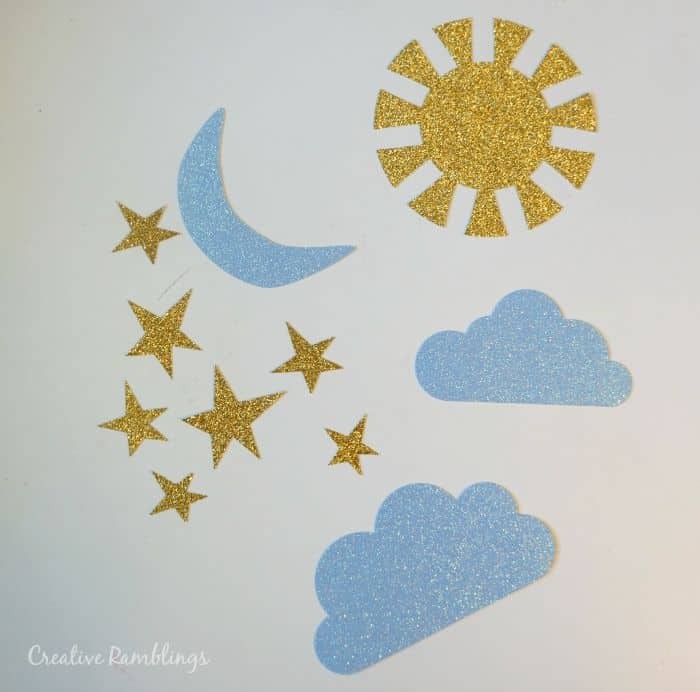 I used my Silhouette and images from the design store to cut the stars, sun, and clouds. I easily designed the moon in my Silhouette software. Every week Silhouette offers a free shape download and I try to download every one, I never know where I might use it. For this project I browsed through my designs to see what I could use. 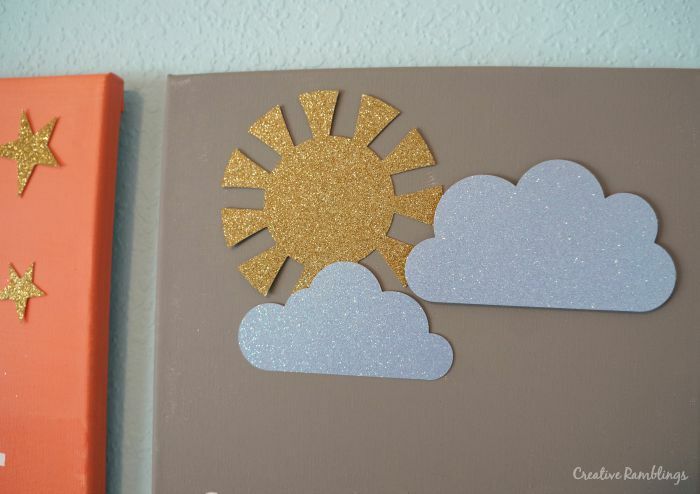 The star is from the top of a Christmas tree, the sun is from a garden set and the clouds came as their own shape. I love that I didn’t have to buy anything new for this project. I cut out the shapes with my Silhouette and used a scissor to cut triangles for mountains. I attached the shapes with hot glue and foam mounting squares to create some depth. I hung these above Baby Girl’s crib and just love how they look. 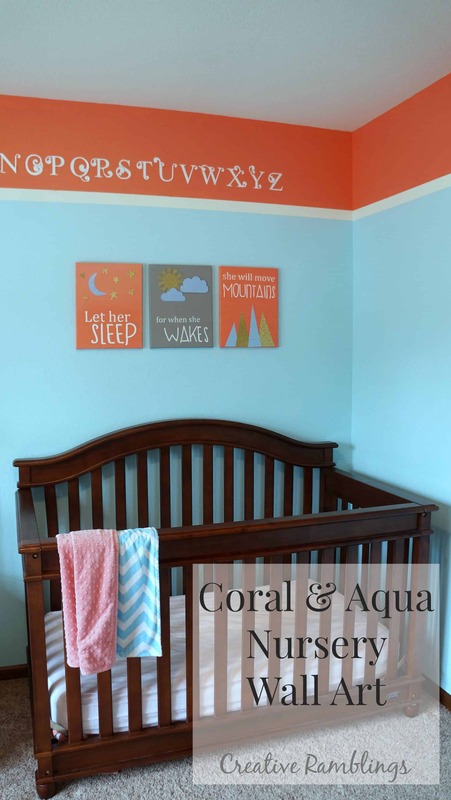 I used the same coral that is already on her walls so these coordinate perfectly with her existing decor. I love how the sun catches the glitter too. 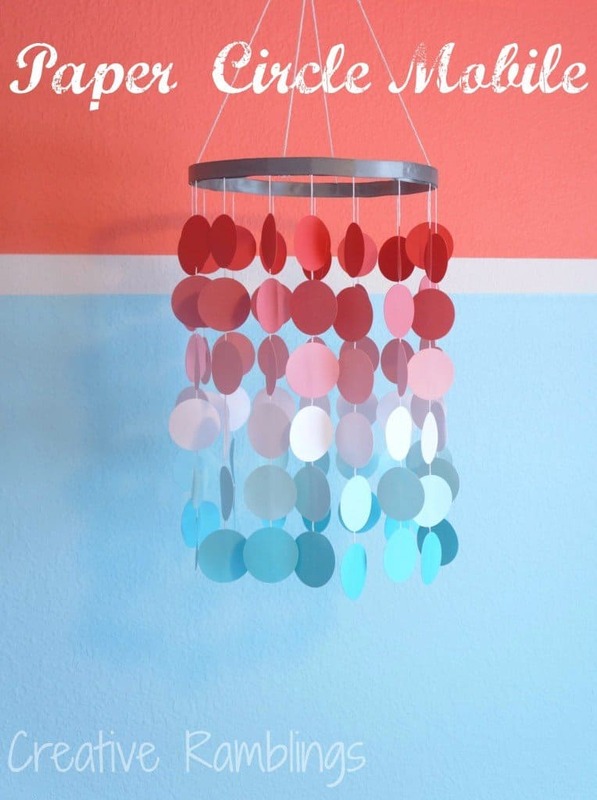 Want to Check Out More Home Decor Silhouette Projects? 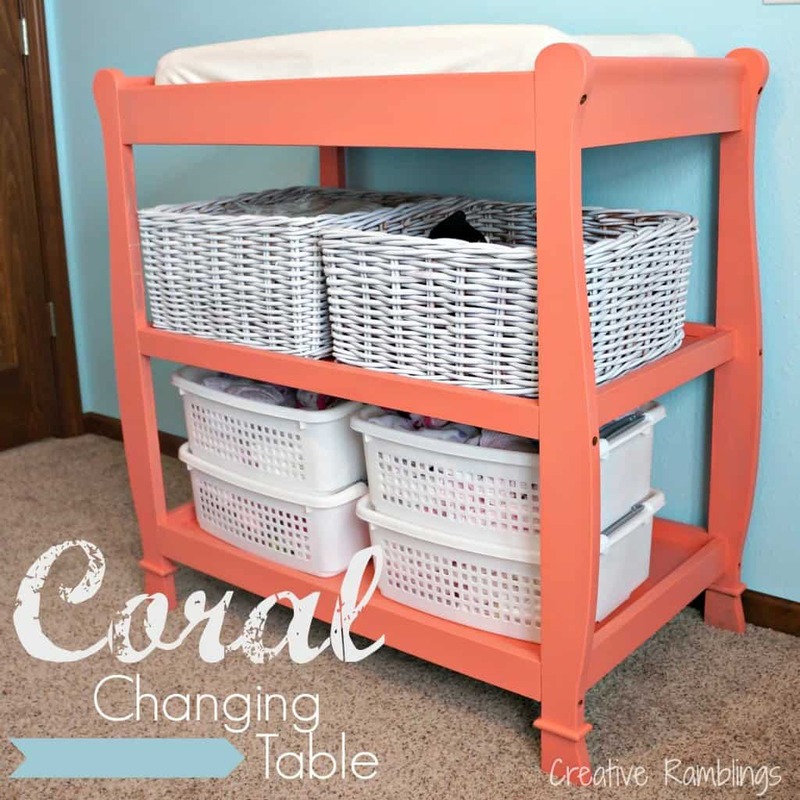 Tell me about your kid’s room, do you have a favorite project? That is absolutely adorable! I love that quote! Great quote. It looks terrific above the crib—calm but powerful. I particularly like the extra dimension from the foam mounting squares. Sarah, these are so beautiful!! I love the design, and the variety of textures you used in addition to just the paint. And that you spread out the quote to three canvases instead of trying to squeeze it all on just one. 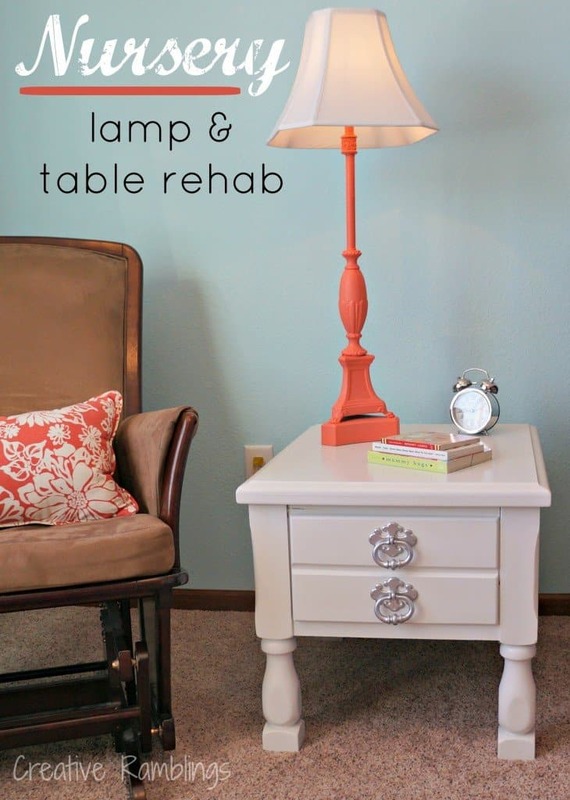 They are the perfect addition to a lovely room! !